Light + Love : Painting (Part 2). So ok, I'm addicted to painting. I've painted everything in my shoebox of a house white. I invited CBB over the weekend to see it and he said it looks like a clinic. Haha. 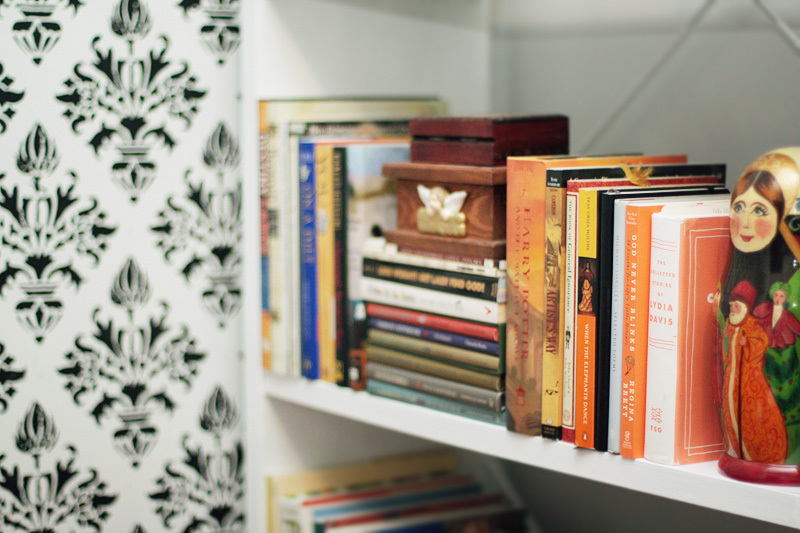 Yesterday, the last brown piece, my bookshelf, has turned into white. The other day, I decided to stencil some design on one of my walls. That way, it would look less like a clinic. 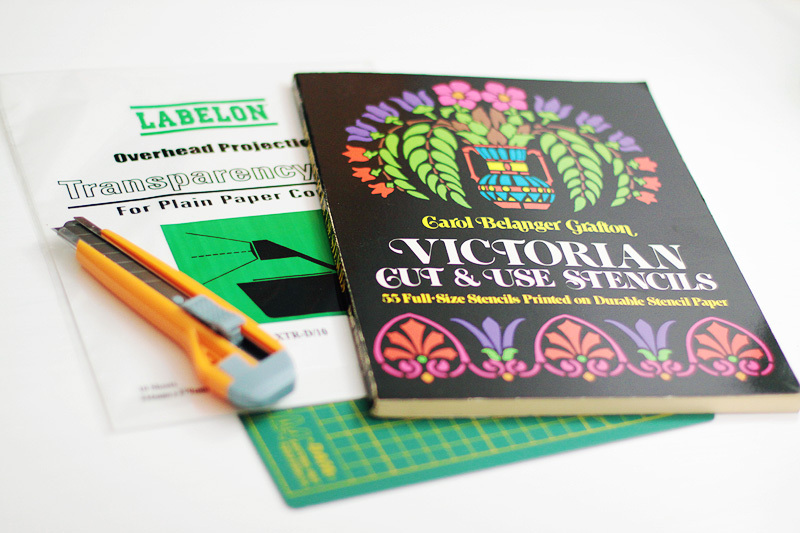 My friend Mary gave me this book of Victorian Cut & Use Stencils many Christmases ago. I finally got to use it! 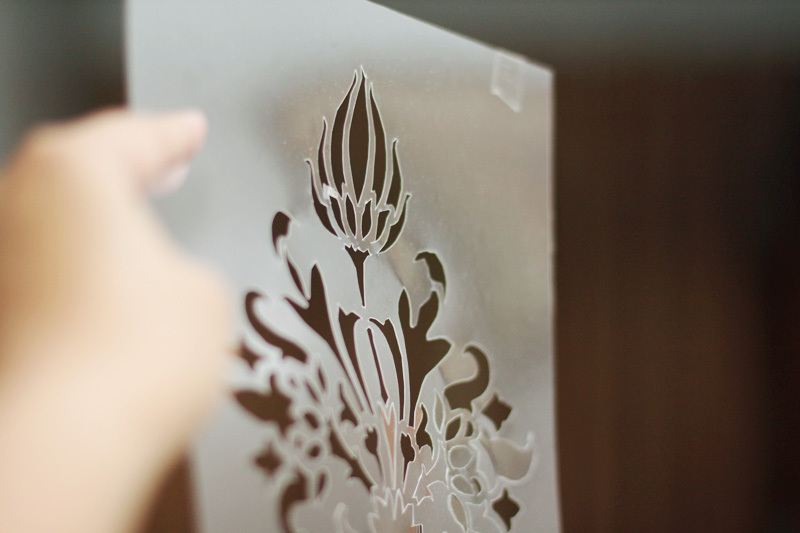 I also grabbed some transparent films and took out my cutting board and cutter. 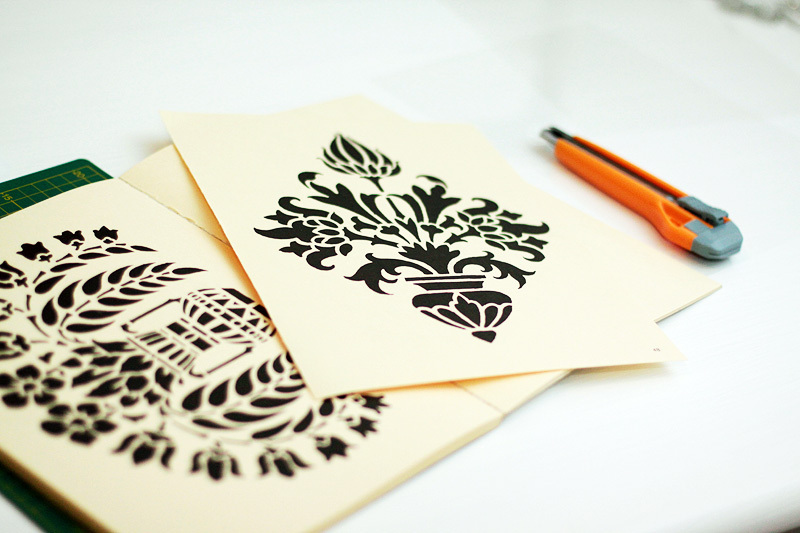 Sadly, I couldn't find my stencil cutter, so I used an ordinary cutter instead. Found the design I wanted and traced it on transparency films. 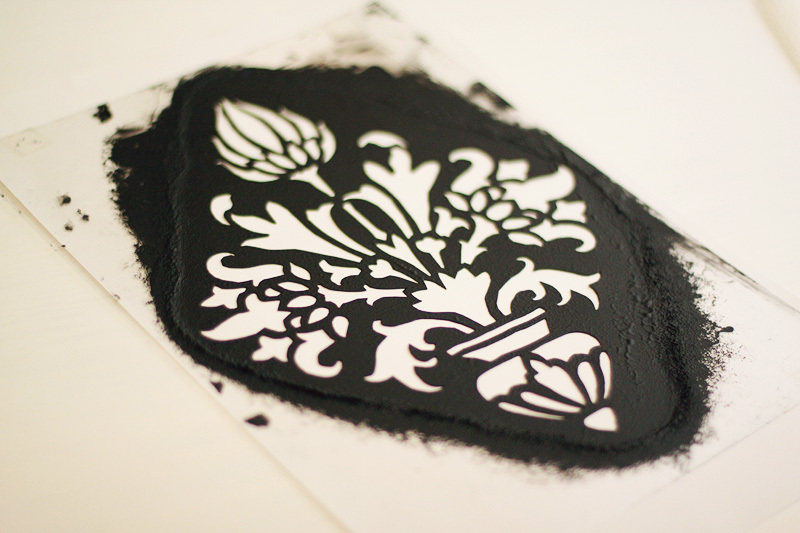 My stencil, ready for some serious work! I used an odor-free matte black paint and a sponge. 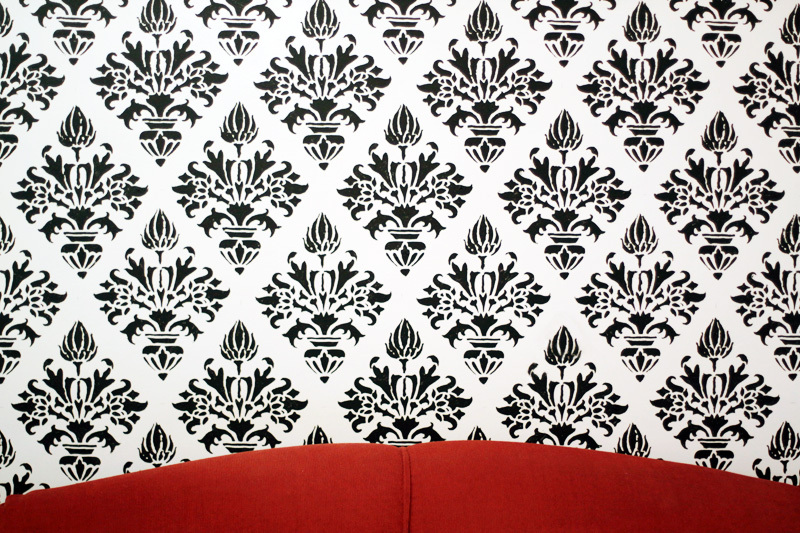 Here's a portion of my wall and a portion of my 7-year-old red sofa (sorry, the 50mm can't take it all). Excuse the imperfections. This new wall really made a lot of difference. Even my old sofa suddenly looks pretty now. Here's the stencil after all the painting. Breaks my heart to throw it. 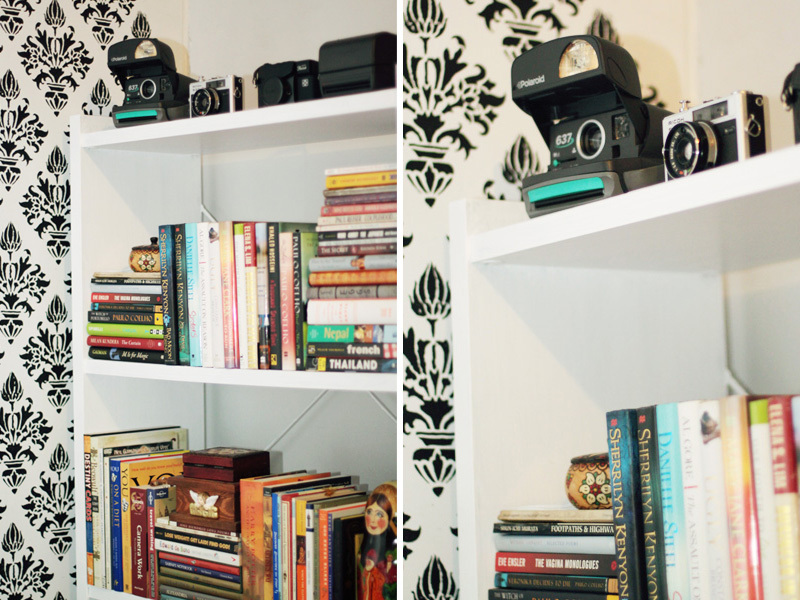 That same day, I also decided to paint my bookshelf. 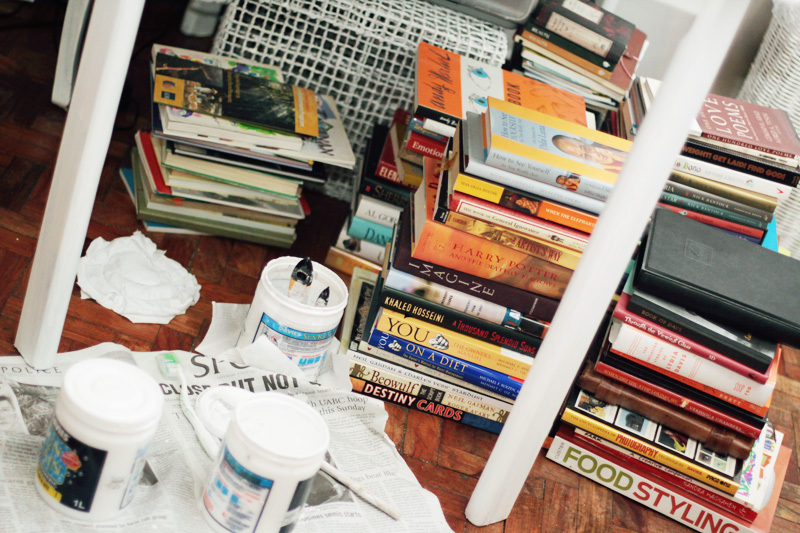 Imagine all the kalat in my house! and some abacca containers, I've become such a good painter! Decided to display my old cameras on top. but kept my 15-piece matryoshka dolls and three japanese dolls to display among my books. one day,magpa stencil nya ko nimo in one room of our future house,hehe..
wow, so hands on man gyud ka aileen in redecorating/renovating your place ... and it looks pretty already --- classic chic!!! Fantastic! 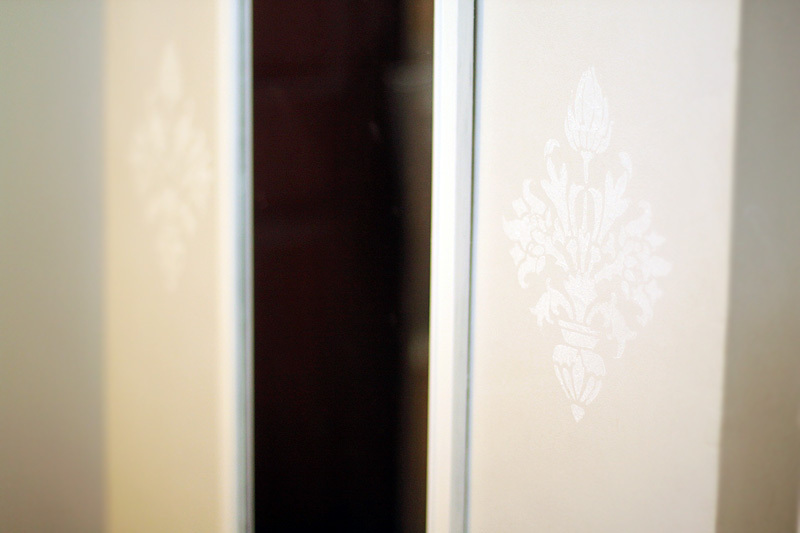 I love the stenciled wall! It made me ask, "where was I when God splattered the world with artistic talents?" Coming from you, I'm thrilled! Thank you, Pat! I won't dare do it on your wall! LOL! I wouldn't know what to do if one design will be out of place! Hahaha.